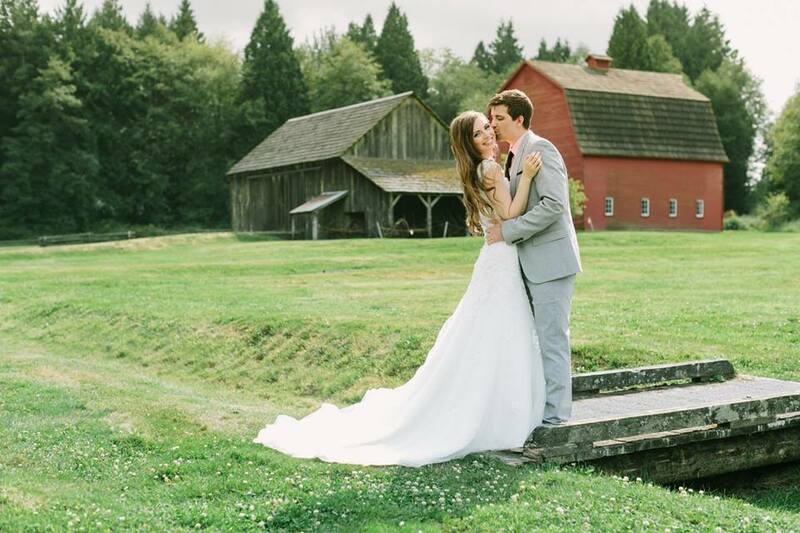 Vancity Bride is known as a haven for budget-friendly wedding planning, this site is amazing for advice, deals, and everything you need to know about planning your budget-savvy wedding in Vancouver. The bridal Swap is your go-to for eco-savvy, budget-friendly, like-minded former brides who want to sell you their lightly used wedding décor and gowns. Ready to plan a glamorous wedding day? Vancouver Bride is for you! While relatively new, this site helps brides choose quality vendors such as photographers, cake artisans, wedding planners, and wedding registries. Weddings West is a great resource for planning your wedding. With business lists including: accommodation, beauty services, and more. You can find all the vendors you need to plan your wedding. Weddingful provides you with average pricing and contacts to the vendors that you want for your wedding! With helpful reviews this site is great for browsing. Wedding Wire is another vendor website that connects couples to vendors who will help make your wedding spectacular. Despite being an American website, this site will use your postal code to connect you to near by vendors. The Knot.com (although American) is an all encompassing website for everything wedding planning. Even though the information is not Vancouver oriented, inspiring images, modern advice, and personalized tools, make this one of the best websites for planning your wedding. Pinterest has quickly become my favourite pre-wedding planning website. The ideas, the photos, and the advice are endless. This is my go-to for wedding ideas. Don’t sweat the little things! This is a regret that many brides have. It’s easy to get caught up in insignificant details when trying to make your day perfect. Instead of agonizing over minute details, focus on the big picture. Your wedding is just one of many days in your life. Don’t skimp on the photography! Wedding photography is very expensive. With prices reaching as high as $10,000 for a single day, it’s enough to make you cringe. Some of my friends decided to go with cheaper options for wedding photography and greatly regretted it. One friend chose a non-professional photographer. Going with non-professional photographers means non-professional behaviour and photos. One bride commented that her photographer tried to leave early and missed important moments. The bride was disappointed and found that of the hundreds of photos taken, only a few were sharable with friends and family. Photography is pricey but worth every penny! Research your photographer and be willing to pay the price, this is your special day you shouldn’t have to worry about the photographer on top of everything else. Start researching now! Here is a link to a list of Vancouver photographers. Outsource labor as much as possible. As a planner you have a lot on your plate. Don’t be afraid to outsource, this is why you have bridesmaids! Your maid of honour could be responsible for contacting vendors, while your bridesmaids can be in charge of decorating. Outsourcing will save you stress and many headaches. Pay a professional to do your flowers. A couple of my friends were economical and purchased their own flowers. They created beautiful handmade centre pieces and bouquets. While this seemed to be a good idea they found that it was a lot more work than anticipated. In the end they wished they had gotten a professional to do the job. Remember that this is YOUR day! This is advice you hear everywhere. But when you are finally planning your wedding it will truly sink in. Brides get pulled in many different opinionated directions. Every bride has pointed out that, this is your day: Do things that make you happy– or get frustrated by making others happy. Have you planned your own wedding? What advice would you add to this list? Answer in the comments below! On the weekend I attended the 39th Annual Wedding Fair at the Westin Bayshore in Vancouver. After reading many how-to’s prior to attending my first wedding fair, I found there was still a lot to learn. #5 Don’t print your own labels. I read everywhere that I should arrive prepared with my own peel off labels for all of the draws held. I went through the trouble of buying the labels, formatting the labels, and printing the labels to find out that the Wedding Fair prints labels for you for $5. While I am all about saving money. The time and money I spent printing the labels myself was not worth it. The big attraction to these wedding fairs is all of the free stuff you can get! A method many used to get free stuff is to apply for every draw. I followed this method and found that I won nothing and gained many spammy emails from entertainers I don’t want at my wedding. Now that you’re all caught up! Your BFOTB is a life saver. I never thought I would leave the wedding Fair with over 20 pounds of flyers, magazines, and samples. Yet there I was, with three giant tote bags full of more information than I needed. I wish I had spent the time to critically look at every booth and decide if I wanted to take everything with me, but looking back I think I was too excited to stop and think. If you are like me, and you like bridal magazines for ideas. You should know, most of them are at the wedding fair for free. I saved $40 on wedding magazines! As you can tell by the pictures below, I had a ton of fun at my first wedding fair. Have you attended a wedding fair before? If so, where was it and what did you learn? Answer in the comments below! My long time boyfriend Gavin has proposed to me and we are getting married next year! 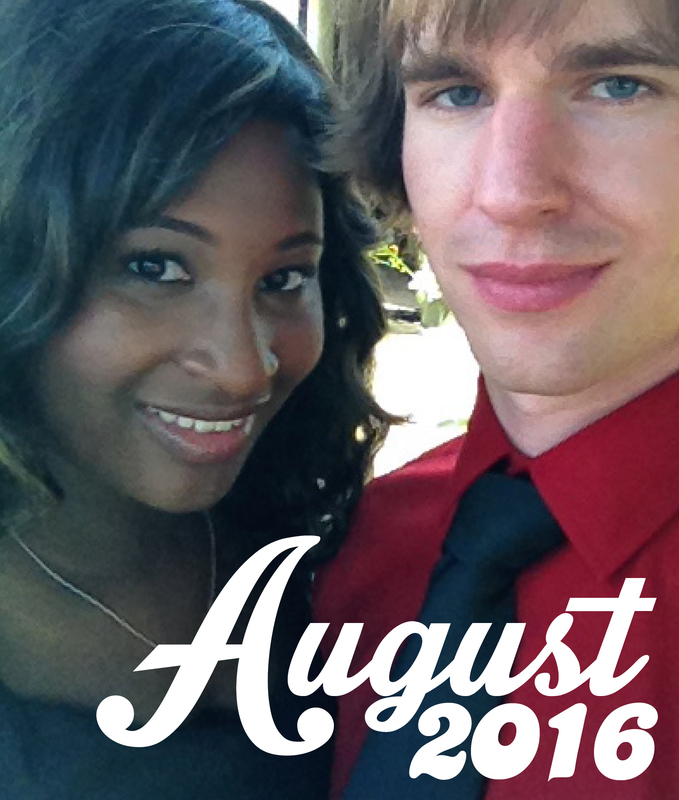 For the next little while my blog will be filled with my wedding planning adventures. Here’s a link to the accompanying article! 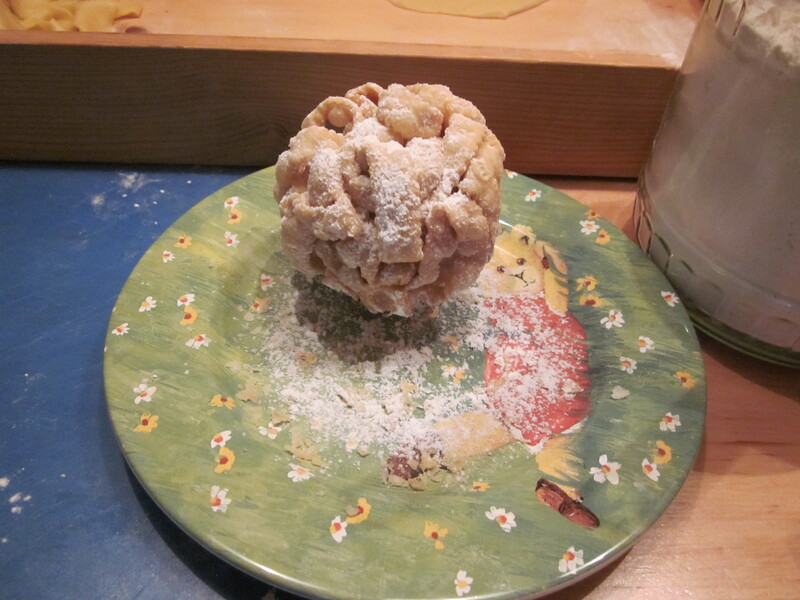 Due to popular demand, I have found the Schneeballen recipe I used when making Schneeballen last Christmas! 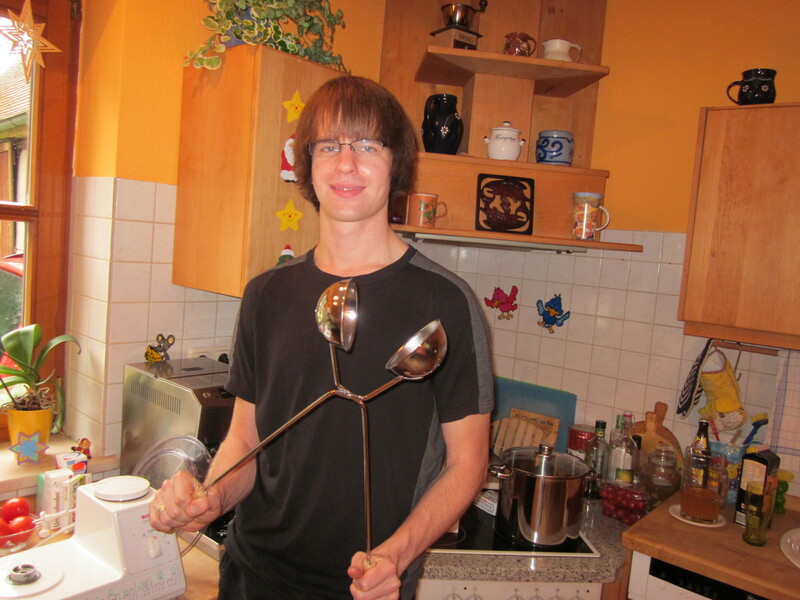 This is a German recipe that is roughly translated into English. We also made this in Germany so some of the ingredients (a block of sunflower oil for example) may not be available to you locally, so you should probably use shortening or Crisco. This is also a very large recipe that needs at least 2 sets of helping hands. 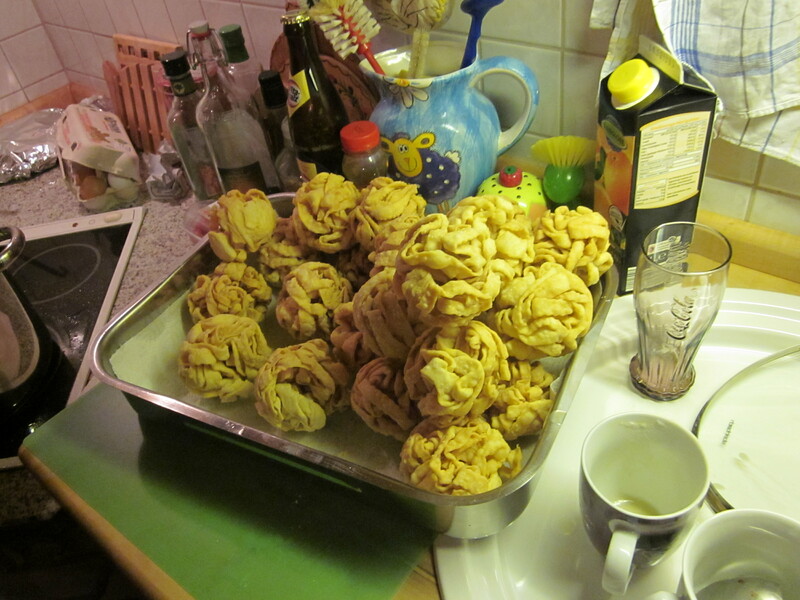 This recipe makes probably 50 to 80 Schneeballens. Also you will need a Schneeballeneisen! 1. 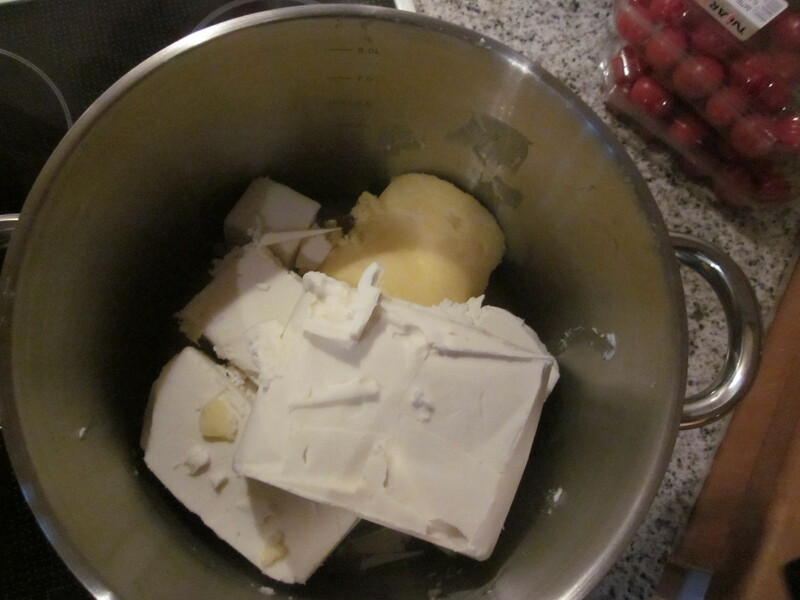 Combine Eggs, Sour Cream, Schnapps, Butter and Sugar together in food processor. Add Flour to mixture. 2. 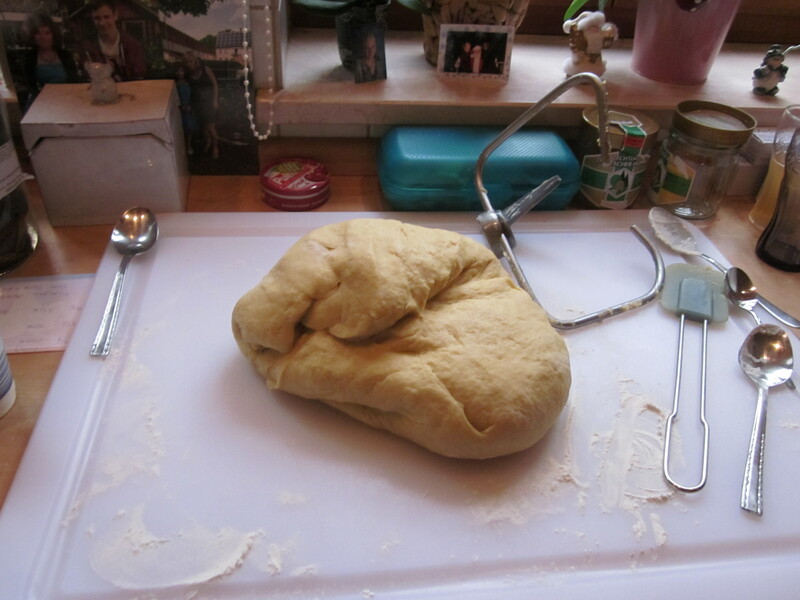 When in a Doughy texture remove dough and kneed. Let dough sit for 5 to 10 minutes. 3. Roll the dough into flat rounds, then slice 1 cm strips into the rounds, leave a 1 inch space around the edges ensuring that the entire round stays in tact. 4. When you are ready to start frying putting all of the fat into a giant pot at a Medium to low temperature. 5. 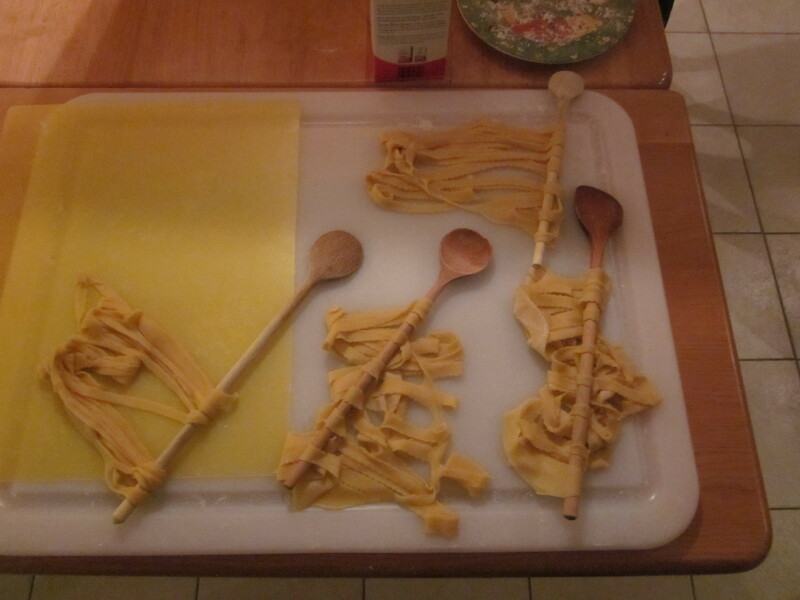 Use the end of a wooden spoon to loop in and around the strips so that the round hangs off the spoon. 6. Carefully place the round inside the Schneeballeneisen. 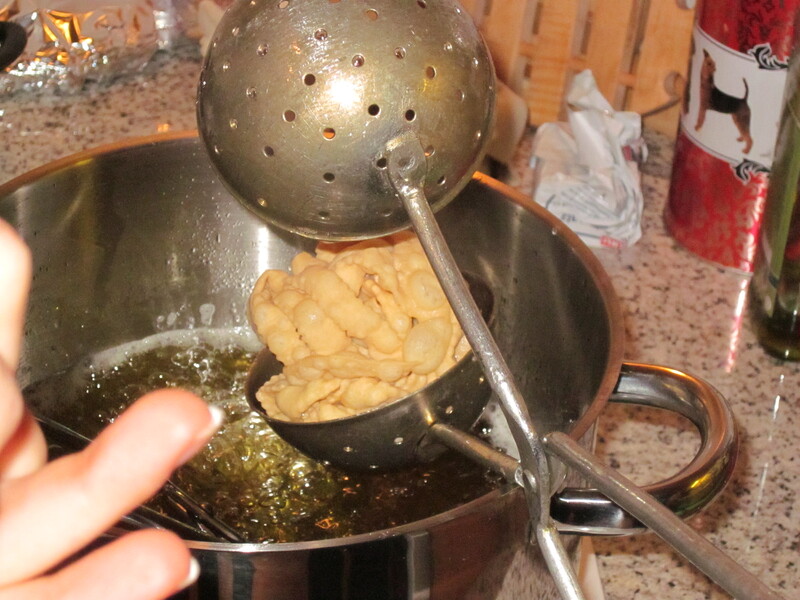 Place the Schneeballeneisen into the pot of fat for 3-5 minutes (until it earns it’s golden color), and constantly spin the Schneeballeneisen so that the dough will form the round shape. 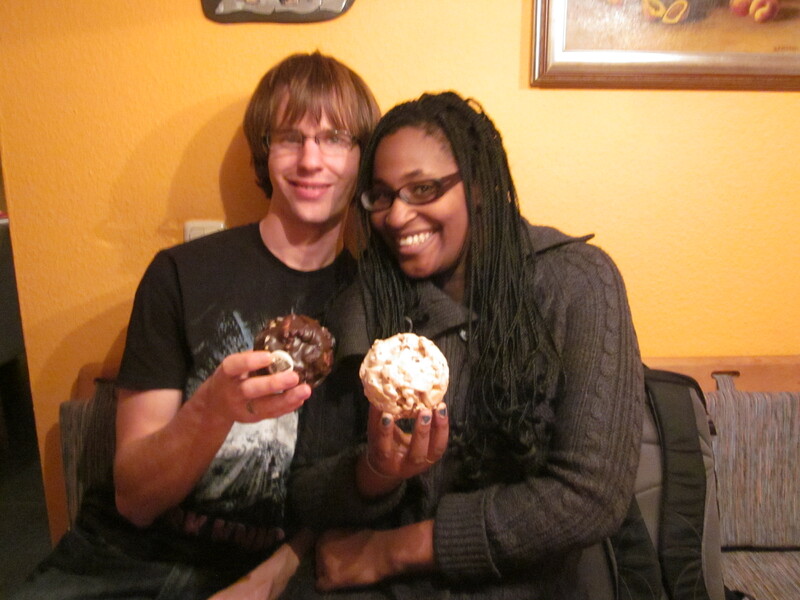 Hopefully your Schneeballen will look as amazing as ours! You can decorate it anyway you like, or to keep it traditional cover it in powdered sugar and enjoy!